As an elementary school counselor, I’ve found that building a relationship with my parent community is vital to the success of my program. 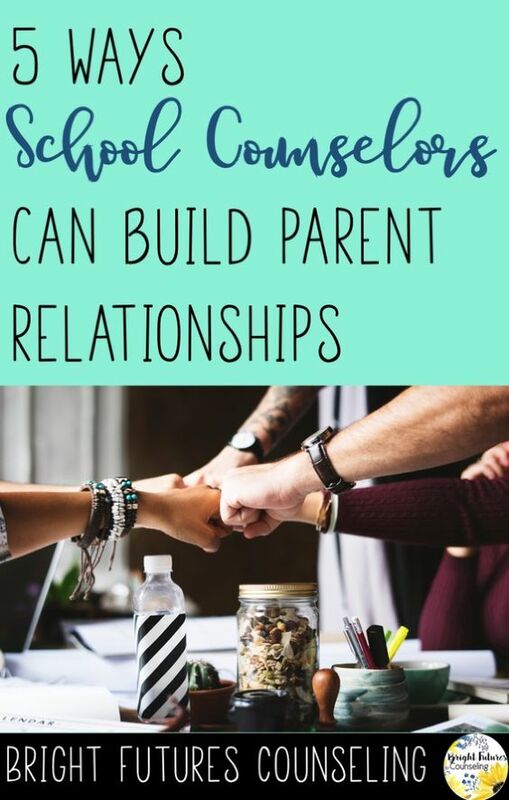 There are several things I do to ensure that a connection is forged early on which allows counseling and me to stay at the forefront of my parents minds. I work at an affluent suburban elementary school where the parent community is extremely involved. Our district funds a part time counselor for each elementary school and then my parent fundraising committee similar to a PTA actually raises money to “fund” me an additional day. This is why being very transparent and available to parents is vital to my programs success. Funding my extra day is a decision that is made each year and is contingent on parent votes, and the amount of money raised. I’ve found that, especially with my early elementary students, my reach can go much farther if I am training and assisting parents in addition to their students. Counselors and teachers often find that skills and behaviors taught at school are notoriously “undone” once a student leaves their classroom. I would like to think that my 30 minute sessions with students can transcend all bounds, but if I work to build up their self-esteem and then they return to an home environment that robs them of this, I will surely be fighting an uphill battle. We can do a lot with a student in the time that we have them at school, but so much more can be done if we are working together with parents to develop an environment that is conducive to healthy social emotional health at home. Gaining confidence in working with parents and also their trust has been challenging at times since I am not a parent yet. But there are several things I recommend doing in order to shape those relationships with this unique population. Here are several ways that I connect with my parent community. Each month I send an email to the entire parent body. These newsletters offer parenting tips and advice as well as reminders about upcoming parenting workshop opportunities. The newsletter is specific to the time of year, and current struggles that parents may be facing. For example, at the start of the year I typically would offer up suggestions about getting kids back into the school routine, or how to help your child feel confident on the first day of school. A few times a year I will host a parent workshop. If there is a topic that I am not comfortable presenting on yet, because of a lack or experience or knowledge, I reach out to community experts to see if they would be interested in presenting. Last May I held one on Video Gaming. I know very little about this, so a therapist whose son experienced video game addiction came and presented instead. Check out an example of my monthly newsletter here. I always have a booth or table set up at Back to School Nights so parents can gather more information or ask questions. I always offer to attend Parent-Teacher conferences if I have worked with a student so that we are all staying on the same page about the child’s education. I also frequently “pop” into parent meetings if the teacher is considering a counseling referral. I am constantly reading parenting books and articles so I can stay up to date and knowledgeable about topics and challenges that our parent community might be facing. This also gives me a huge repertoire of books to recommend to struggling parents since my “parenting” experience is limited at this point. For more tips, ideas, and information on how Carla runs her Comprehensive School Counseling program follow her at SimplySchoolCounselingBlog.wordpress.com.